Our team of kind, compassionate and highly skilled individuals make the nursing care at Cramond Residence extra special. General Manager Eileen Gray heads up a team of dedicated nursing, care, activities and hotel services staff who are committed to delivering the highest standard of care. Eileen is well established in the care industry. With over 25 years’ experience in care home management, she has a particular interest in the delivery of high quality dementia care in care homes. 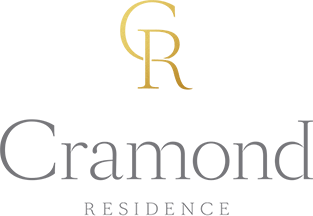 She encourages her staff to exceed standards in all aspects of the home, an outlook which is embedded into the vision of Cramond Residence. It is important that our staff team are trained to current best practice guidelines to equip them to confidently deliver the finest care. We have a 20-year track record of successfully managing well-respected care homes through Walker Healthcare, the company behind Cramond Residence. Our ethos is all about providing places in which elderly people can live in comfort and dignity and enjoy active and fulfilling lives. The company has a unique understanding of the management and operational requirements of a successful care home. Walker Healthcare was established in 1995. It is a division of James Walker Leith Ltd, a leading independent company established in 1863, which includes Dundas Estates and Walker Timber.